The Band saw blade width is measured from the tips of the teeth to the back edge of the saw blade. 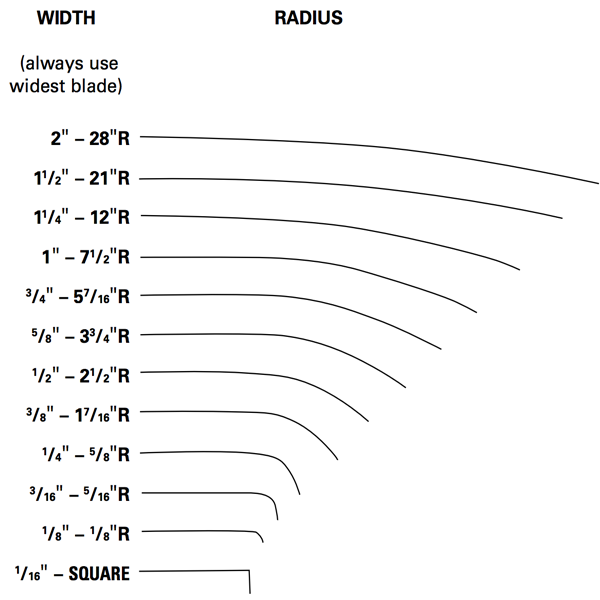 It is best to use the widest band saw blade width possible for any particular cut according to your saw specifications. The issue may come up when you are trying to cut circles with your blade. 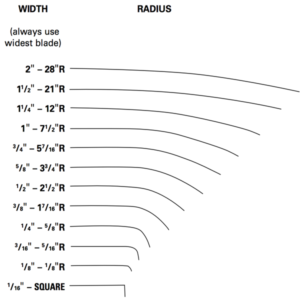 If you are contour sawing, see the guide below for different bandsaw blade widths and the corresponding minimum cut radius.